Roxana Illuminated Perfume: Plant Dye Workshop at the Perfumery! Plant Dye Workshop at the Perfumery! Mona Lewis, Sunsprite Handwork and Roxana of Illuminated Perfume have aligned their passion and skills to bring a day of intense play and alchemy as we dye soft wool travel wraps using delightfully simple Ecoprint bundle dyeing' techniques. We will begin by stitching a selection of natural fabric patches into our wraps, then use the simplest of ingredients - leaves and water - to add exquisite natural color to our work. After lunch, while the wraps are in the dye-pot, we will stitch a beautiful travel bag in which to keep the wraps safe when they're not draped around our shoulders'. 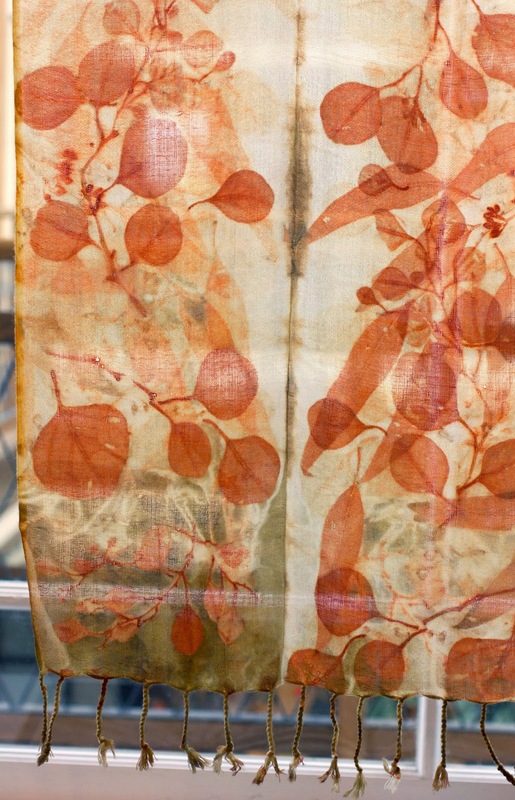 Our hands-on day begins at 10am at the Roxana Illuminated Perfume Workshop with morning tea on arrival, followed by a short introduction to the plant dye process. Mona will then guide us through the process of stitching and dyeing before we sit down to enjoy a seasonal lunch prepared by Blue Table Restaurant (while the dye-pot bubbles away in the background). An unfurling of the wraps, along with some more simple stitching will complete the afternoon, which we expect will end around 4pm. 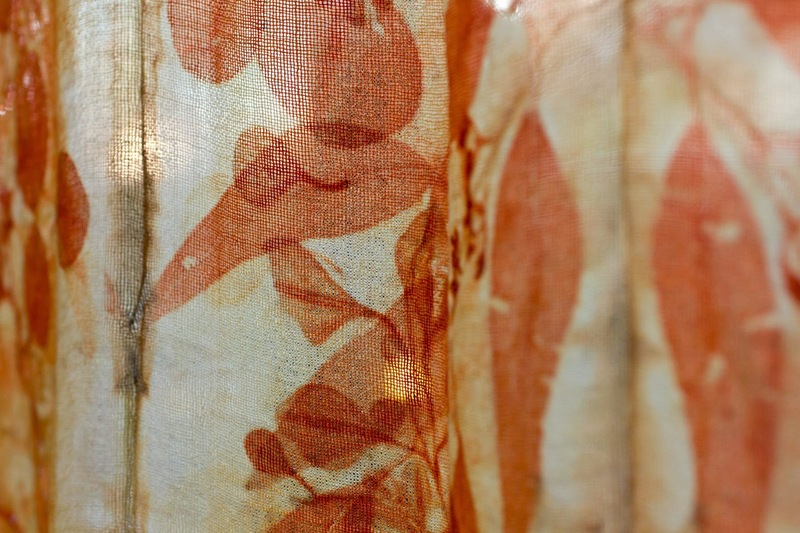 Ms. Lewis, the conductor of this special day, uses ecologically sustainable contact print processes from plants as a means of exploring the amazing colors of nature and finding relevant, artistic applications. She works as a handwork teacher in the Waldorf Education movement sharing her love of natural color throughout the curriculum. Her students are children of all ages. She heads up the soft handwork section of Waldorf Initiative for Teacher Training and holds continuing educational workshops for adults. Learn more about Mona's on her Facebook Pages: Mona Lewis and Sunsprite Handwork and on Instagram. Please wear suitable clothing and bring a notebook to write in. The fee for the entire day, including materials is $360 per person. A deposit of $180 will reserve your seat, with the balance due by February 28th. The deposit is refundable if the cancellation is made by February 15th. Due to the nature of the class, participation is limited to ten lucky students, we encourage reserving your seat now. Please contact Roxana to reserve your seat: text/e-mail: roxana@illuminatedperfume.com or by phone (818) 992-0490. This is a unique and special experience in our local community using plants from our area in the gorgeous, peaceful setting of Agoura Hills. A special free introductory Valentines workshop will be announced shortly, stay tuned.